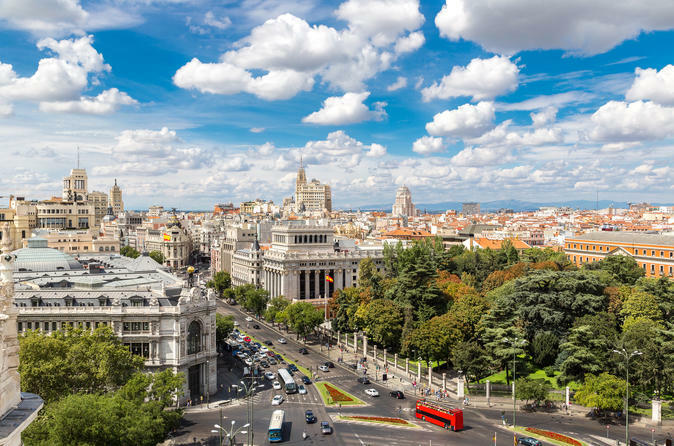 The beauty of Madrid is in the streets, from where the medieval mansions and the royal palaces of the city are seen, but also a contemporary architecture inspired by the artistic side of the capital. For all those who wants to know a less accessible Madrid for tourists, this designed route includes all those areas that you only have the opportunity to visit with a local. A multitude of charming streets and picturesque customs of Madrid to discover are at your fingertips with Local Tuk Tuk! Itinerary includes: Hortaleza, Dos de Maio Square, Gran Vía, Opera (Royal Theatre), San Miguel Market, Vistillas (stopping point), La Paja Square, La Latina, Barrio de las Letras, Sevilla Street. If you’ve never been in a tuktuk, this is your chance! This new initiative to use electric transports, 100% sustainable, aims to promote an image of environmental awareness in the city, but without dispensing tourist entertainment. One of the best services in Madrid, with a professional team and an eco-friendly vehicle!